Solarizing industrial processes that have a high energy consumption is the main objective of the so-called Solpart project. This is an initiative, launched within the H2020 program, in which Abengoa participates together with more technological partners and presents the challenge of demonstrating a solar reactor on a pilot scale suitable for its implementation in the cement manufacturing process. “The objective of the Solpart Project is to solarize industrial processes that have a high energy consumption and to reduce the impact associated to their life cycle. The Solpart Project presents the ambitious global objective of solarizing (replacing the conventional fuels used in these industrial processes by solar thermal energy) industrial processes that present a high energy consumption, allowing to reduce the impact associated with their life cycle. In order to do so, a high-temperature solar process (800-1,000 °C) with 24h/day operation, suitable for the treatment of particles from non-metallic mineral industries with energy-intensive consumption, will be developed on a pilot scale. 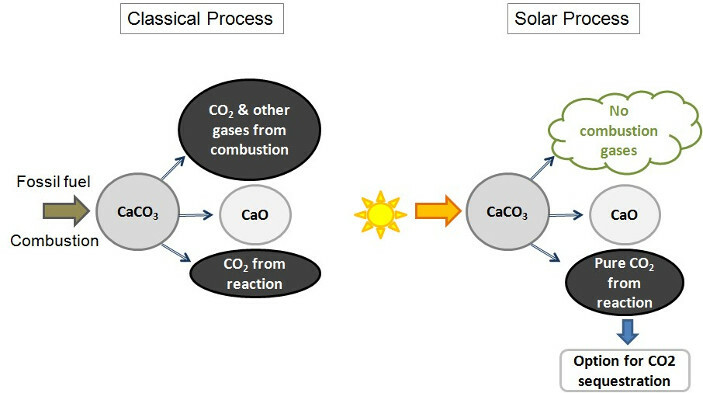 It presents the challenge of demonstrating a suitable pilot-scale solar reactor for its implementation in the cement manufacturing process, providing all or part of the thermal energy requirements for the calcination of calcium carbonate (CaCO3), simulating at prototype scale its operational, as well as the performance of the storage and transport systems of particles at high temperature. The pilot plant will be evaluated in the solar installations of the CNRS-PROMES, France. 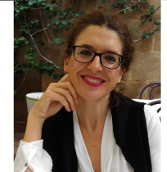 The Solpart project, funded by the European Union within the H2020 program, will advance the project from TRL 3-4 (laboratory) to TRL 5 (demonstration plant) status, allowing its technological partners, CNRS, Abengoa, Comessa, Cemex, New Lime Development, EPPT, DLR, University of Cardi Ayyad and University of Manchester, position themselves as leaders in process solarization technologies. “Abengoa participates in the Solpart project through the commercial scale integration of a solar plant in the cement manufacturing process. Within this scope, Abengoa is responsible for the commercial scale integration of a solar plant in the cement manufacturing process, a key activity for determining the viability of the technology. During the project, the environmental impacts of the life cycle of the solar solution will be developed in comparison with the standard processes, as well as the economic evaluation. Thanks to the integration of the solar unit in the industrial process (potentially combined with the capture of carbon dioxide, CO2), a considerable reduction of the carbon footprint of the CO2 emitting industries is foreseen, allowing to open a new market for renewable energies. This project opens new application domains for solar heat because, in addition to lime and cement production industries, it could be of general interest for the metallurgical industry, for example, for the transformation of hematite to magnetite, roasting of sulfides to oxides, etc. All equipment, related to the handling of solid particles to which the project is directed, has, in addition, direct and also critical applications in other technological and industrial sectors with the need for storage of high-temperature energy. In this way, another important impact derived from the achievement of the main objectives of the project will be the possibility of exporting and selling this high-level technology developed within the project to other countries of the world, thus offering new market opportunities.